Motorola’s got several interesting devices under the works these days. These include the Moto X+1 which is the successor to the current Moto X, possibly the Google Nexus 6 and the Moto 360, the favorite in the smartwatch world. We’ve been hearing from a couple of sources that the Moto X+1 will get to see a launch date at the end of next month. But Motorola has just sent press invites for an event on September the 4th, which opens up a possibility that the Moto X+1 and Moto 360 might be with us sooner than expected. Motorola Sends Out Press Invites – Seems The Moto X+1 And Moto 360 Will Be Getting September 4th Launch Date. 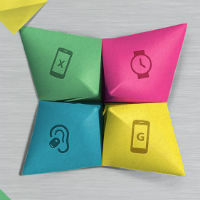 The date of 4th September puts Motorola’s event in a very bust week indeed. Several sources point out to the iPhone 6’s launch on September 9th, IFA start’s on September 4th and Samsung has an event scheduled for September 3rd which will see a possible Galaxy Note 4 launch. The Galaxy Note 4 is expected to come with a 2.6 GHz Snapdragon 805 and an Exynos 5433. Looking at the teaser sent with the pres invites above, the Moto 360 and the Moto X+1 aren’t the only devices that we might expect to see September 4th. We can also expect the Moto G2 to make a possible appearance as well. The Moto G2 has previously been pegged for a 10th September release date. So that’s it folks. Looks like we finally have a launch date for the Moto X+1 and the much anticipated Moto 360. Stay tuned for more, and let us know in the comments section about what you think.